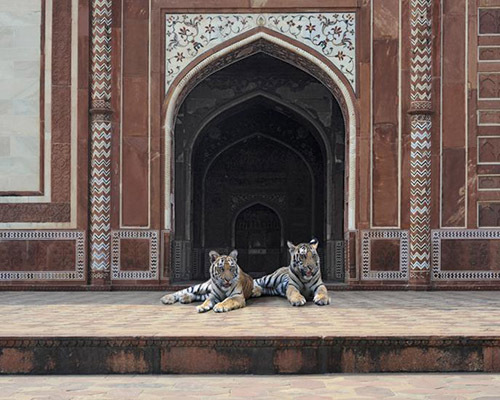 India has a way of grabbing hold of your heart. 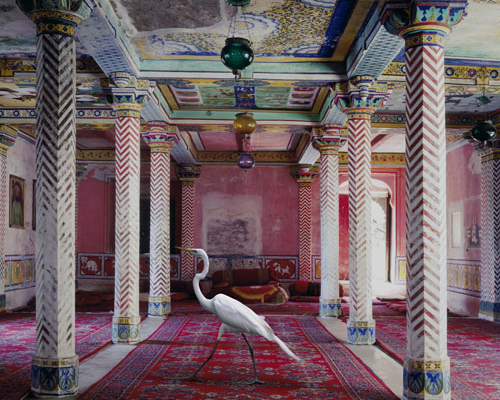 And somehow Karen Knorr has managed to capture it’s rich visual culture and mysterious beauty through her photographs which she manipulates into these captivating works of art. 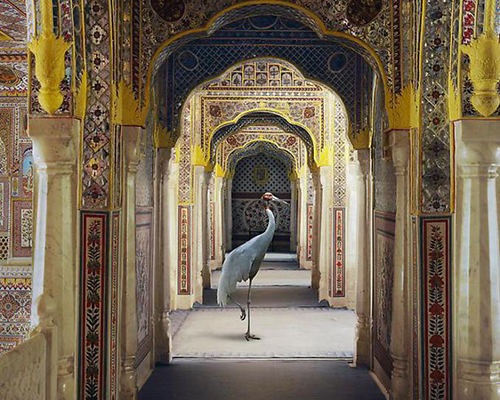 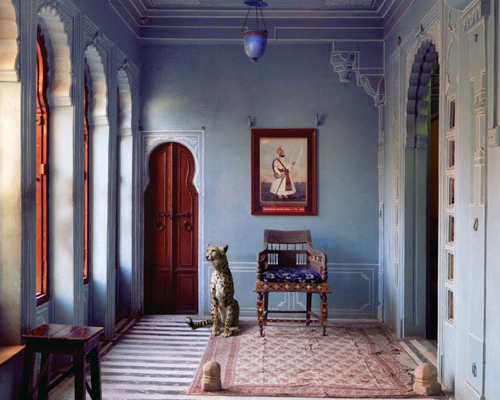 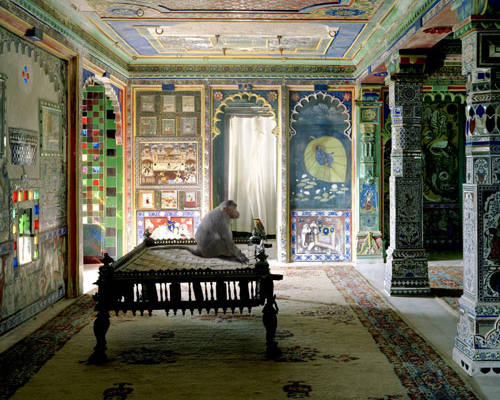 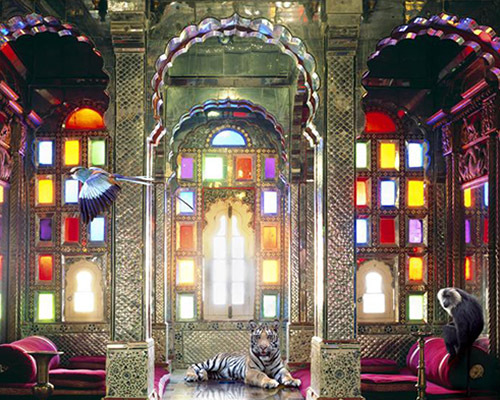 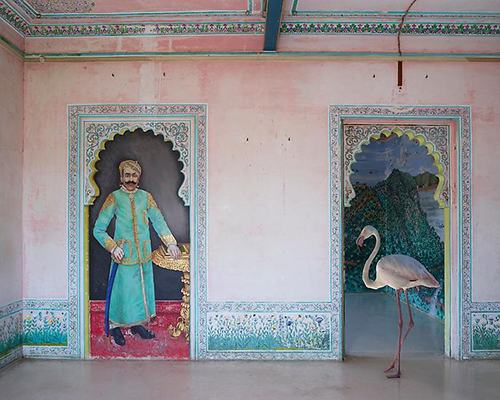 Karen Knorr is a photographer and artist. 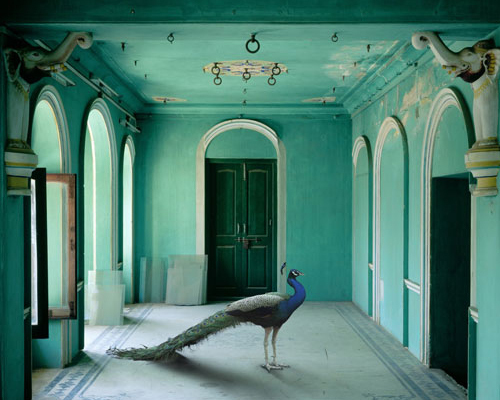 Born in Germany, and raised in Puerto Rico. 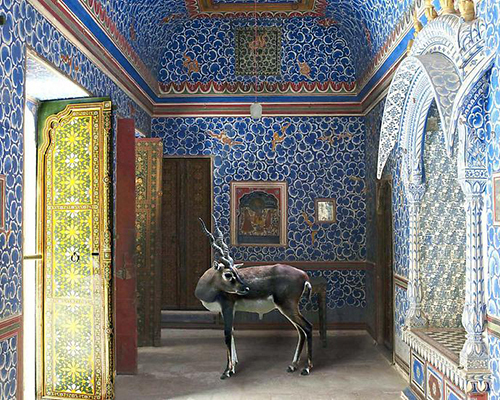 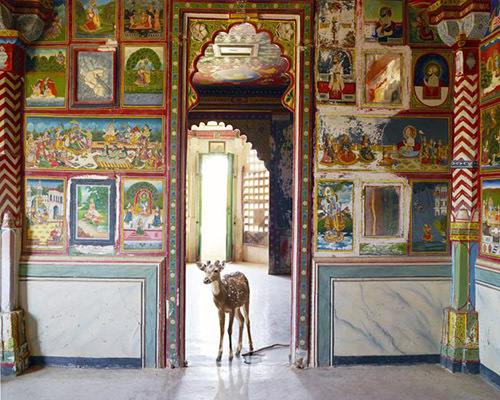 Her book ‘India Song’ presents some extraordinary images of animals in stunning architectural sites in India and celebrates the rich visual culture and stories of northern India. 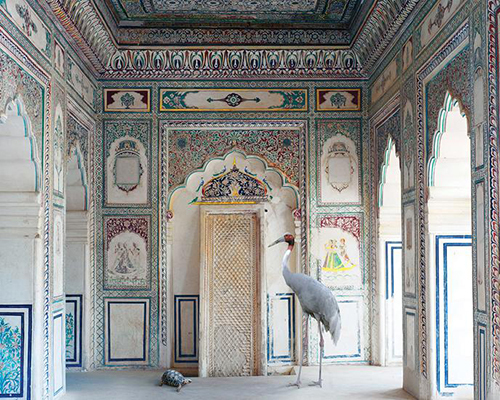 Knorr began her ‘India Song’ series in 2008, after a life-changing trip through Rajasthan. 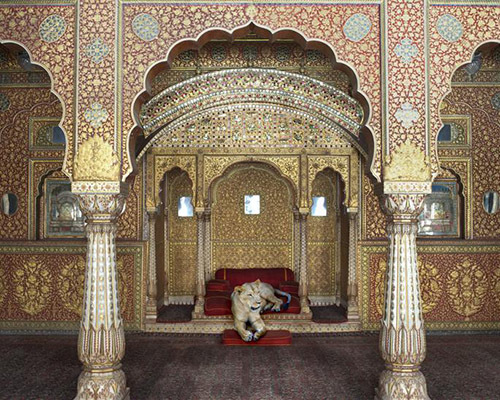 She takes inspiration from the Indian tradition of personifying animals in literature and art, depicting scenarios that are otherworldly. 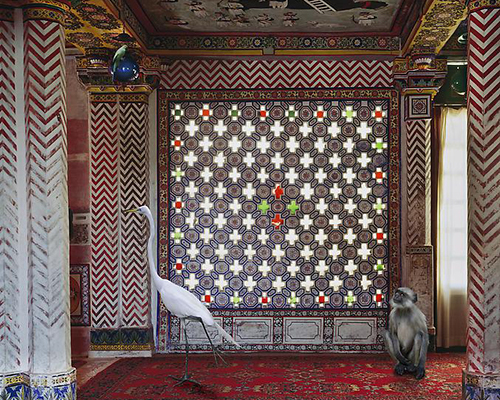 The rich colours, patterns and textures combined with the exotic ‘wild’ animals (cranes, zebus, langurs, tigers and elephants) gives these photographs a surreal, romantic mood, all the while blurring the boundaries between reality and illusion – a fairytale you want to climb into.